Metal maniacs, rejoice! 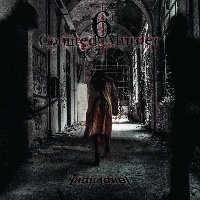 I am proud to present to you: 6TH COUNTED MURDER; signed via Sliptrick Records, hailing from Italian grounds - performing Heavy/Melodic Death Metal, on their 2nd album entitled: “Individual” (released February 8th, 2019). Since formation in 2011; the band in question have 2 albums, and a Single in their discography so far; I am introduced to their sophomore album entitled: “Individual”. 10 tracks ranging at around 50:24; 6TH COUNTED MURDER arrange an intricately designed formula of hard-hitting Heavy/Melodic Death Metal amalgamations, “Individual Born” begins the record - conveying amplified adrenaline and adroit attributes of boistrously bouncy aesthetics, diligently converging a barraged frenzy of deadly crunchiness…culminated with concretely gritty gnarliness and dominating executions. Flamboyantly contrasting creatively detailed flair, hasty hostility while infusing diversely inventive instrumentation with meticulous musicianship – frolicking frantically with finesse and constructively distinguished composing dynamics. Consisting of Simone Dalamar Paga on vocals; the frontman consistently demonstrates deep, guttural growling - balanced with savagely sinister shriekings that is fuelled with wonderously prodegious persistency. “Syncopate” distributes complexly dextrous efficiencies from double guitarist duo: Andrea P.Moretti& Marzio Corona; embellishing on blistering grooves, manifested with punchline prestigiousness and solid slabs of rampaging relentlessness. Songs like “Scent Of Despair” & “Near Death Experience” experiment with engaging captivation; forging chaotic, chugging fabrications, galloping mayhem and progressively technical thunder that rapidly swifts with nimble stability – quintessentially quaking with precision and speed. Hardened hymns, fluidly polished with omnious orchestration which stampedes with rampaging onslaughts. Audible bassist Alessandro Ferraris contributes a battering injection of infectiously immeasurable intensities; crafting blast beats, electrifying lacerations, and rip-roaring shreds of relentless proportions. “Berserk” implements inventive elements like distinctive characteristics in which combust with firepower and expertise; excercised into extreme grandures of explorative remedies, rambunctious ramifications that thump with stompingly primitive maliciousness. “She” showcases powerhouse pounder: Gianluca D'Andria on drums; who provides slamming substance, organically portraying uniquely uncompromised ultilizations of versatile vehemence - rapid succession swifting with seamlessly sonic skill. “Burial Engaged Abuse” explodes fiercely into incite; screaming with vengeful variety, viciously submerged subjugations and pummelling remarkability. “Cloud Nine” supplies more riveting musical qualities; triggering transitions that traverse unprecedented soundscapes with unique tempos, traditional melodic Heavy Metal harmonies and a borderline foundation of formulaic Death Metal fundamentals. “Apocalypse In Human Features” comprises of excelling components; challenging charges of catchy, grunty pipes of profusely robust weight - monstrously meaty hooks infused into razor-sharp strikes of wildly rushing rumbling. Overall concluding “Individual” with the finale track: “House Of Lies”; I am compelled to say that 6TH COUNTED MURDER certainly outdone themselves here, embodying a dosage of hardened hymns of adroit ability – this here band delivered an enjoyably entertaining experience and eardrum shattering strength - definitely worth checking out.